1. First, may we still refer to you as the Tarot Diva even though your latest tarot book is “365 Tarot Spreads” and not diva related? 2. Your book launch party for “365 Tarot Spreads” was sponsored by Barrows Intense Ginger Liqueur. I’ve never heard of any tarot author getting sponsored by such a fabulous sounding sponsor. Tell us how the sponsorship came about and how the party went. The innovator of Barrows Intense Ginger Liqueur is a good friend, Josh Morton. http://barrowsintense.com/ He’s enjoyed wild success with Barrows, throwing tastings around the country. Since I was planning on wine, cheese and snacks, I thought the Barrows would be a great addition. Plus, I liked having the magical energy of ginger on hand. It heated things up! The party was glorious. I host lots of parties at my place in the mountains. I planned the evening like a garden party except it was at the event space of the fabulous Namaste Bookshop in NYC with tarot thrown in! 3. 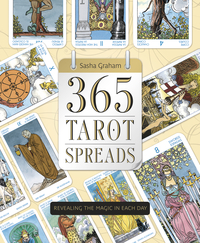 Why did you decide to do a book with 365 unique, different tarot spreads? I thought about a daily spread book because I wanted to buy one. When I realized there wasn’t one out there, I knew I had to write it!! It was such a fun challenge to see if I could pull it off. Plus, tarot is a daily practice for so many readers, it seemed an obvious thing to write since it hadn’t been done. 4. On each day you highlight a piece of history that influenced what the spread for that day is. 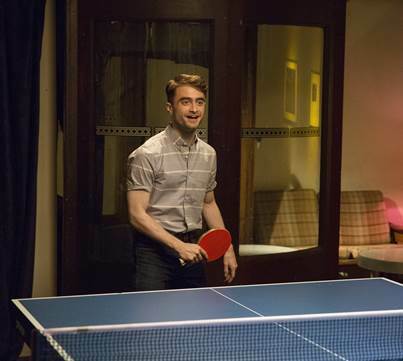 How did you decide what historical tidbit to use? I had specific criteria as I pieced it together. First, I found all holidays. Then, I looked for every important date in Tarot history I could find. I wanted to use everyone who has contributed to tarot history. Birthdays of tarot luminaries like Pamela Coleman Smith or Aleister Crowley. Events in Tarot’s history. I wanted the readers to learn about tarot as they performed the spreads. I found correlations with the occult, the Victorian era, anything gothic and ghosty felt very right. I included Greek and roman festivals, gods and goddesses when I could. I included artists and writers because true art is supernatural and artists are shaman in their own right. I included universal stories, fairy tales and popular films that almost anyone would be familiar with. 5. Did you pick something special for your birthday, because I would? Everyone picks up the book and goes straight to see their birthday spread! Mine birthday falls on Halloween! The Halloween spread is massive. It looks at the 12 months ahead, considers personal magic and reflects on what you should embrace and reject. 6. What’s one of your favorite spreads from the book? That’s like asking which is my favorite child! My daughter’s favorite is the Indiana Jones Spread. Hmmmm … one of the most useful spreads that really helped me through a tough time was a spread I created when I was having a difficult time communicating with my sister whom I love dearly. I named it the Sibling Issues Spread but really it can be used for any relationship you are struggling in. It changed the trajectory of our communication and things got better quickly. This is tarot at its BEST! 3. What they are feeling. 4. What I see that they don’t. 5. What they see that I don’t. 6. What is truly possible for the two of us. 7. What action can I take to heal the relationship? 7. What’s one of your favorite historical tidbits from the book? Random and fascinating was the Battle of Los Angeles! Right after US entrance to WW2, in 1942, there were objects spotted in the sky. Some thought enemy fire, others thought UFO’s, an air raid was called, shots fired, seven people actually perished. The incident was deemed a false alarm though many suspected a UFO cover up. I turned that date into a tarot spread about personal defensiveness. 8. What are you working on next? 9. Any chance of a Tarot Diva Tarot Deck coming out one day? 10. Parting shot! Ask us here at The Magical Buffet any one question. Mmmmm, fall is in the air! What are you most looking forward to as the air turns crisp and the witching season is approaching? I’m kind of meh on autumn because it means winter is on the way, and I am not a fan. However I do love the Celebrate Samhain event that takes place every October, so I must accept fall if I want to go to Celebrate Samhain. 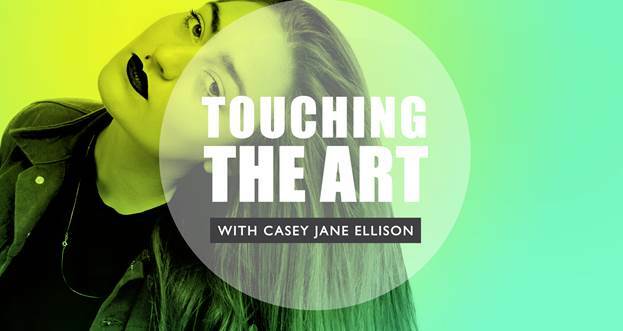 Sasha Graham teaches tarot classes and produces tarot events at New York City’s premiere cultural institutions, including the Metropolitan Museum of Art. 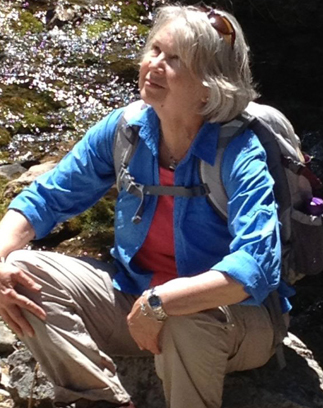 She has shared her love of tarot on film, television, radio and print. She lives in New York City. Visit her blog at http://tarotdiva.wordpress.com/. The author didn’t exactly have writers in mind when he put forth his idea, but being a writer that’s how I translated his work. Ralph Metzner in his book “Green Psychology, Transforming Our Relationship to the Earth”, discovered that tuning into the four different elements of nature – air, earth, fire, water – produces an experience of consciousness that is associated with the qualities of each element. For writers this is a valuable tool. When we align ourselves with the element of nature that meets our writing needs we dip into a vast inventory of inspiration and insight. For example, if we offer our attention to the element of air, we align our body rhythms to the wind or breezes, breathing deeply if the winds are strong, quietly if the breezes are soft. 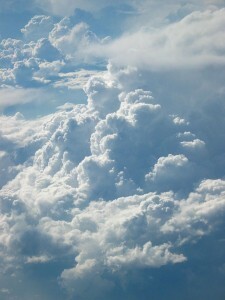 We follow cloud movement across the sky, offer our full attention to the birds, butterflies, airborne seeds. As writers we may be especially comfortable here. We enjoy soaring through the skies of our imagination, darting quickly from thought to thought, winging it. When we need such qualities in our writing as lightness, humor, change, we align with the element of air. This also works well for fast lists, witty dialogue, and overviews. Experiment with solving these writing problems using the qualities of air. •	Need surprise? Offer a sudden shift in direction that follows the dive of an osprey, which is a brief, almost imperceptible halt, before the abrupt change. •	Looking for patterns in plot or character? Get some distance on the problem with a “bird’s eye view” which allows us to note only the most prominent aspects. •	Does the pace plod? Storms are preceded by mounting energy that gathers toward resolution. Quicken the winds of your writing. •	Storylines that depict slow-moving, stuck, immoveable, or stubborn qualities. Those grounded in history or culture. •	Conveying simple, basic moods and emotions, such as long-suffering, generosity, attachment, fear, envy. •	The foundations of life – food, shelter, mates, heritage, religion, family, organizational structure. •	Abrupt resolution in story or character. •	Mounting tension, disaster, conflict, passion. •	Reflections of a character or narrator. •	Amplify tempo and pace using water’s vast spectrum, which ranges from seeping to surging, dripping to flowing. •	Emotion involves water in our bodies – tears, saliva, phlegm, gall, sweat, blood. The rhythms and moods of the four elements support our personal energy and expand the field of choices in our creative work. And one more benefit: Partnering with the natural world offers us language that holds universal resonance. Everyone on the planet can identify with our writing, because we all experience the same four elements. 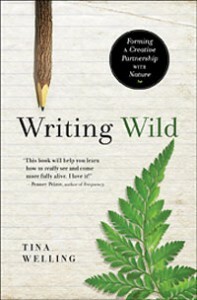 Based on the book “Writing Wild”. Copyright © 2014 by Tina Welling. Reprinted with permission from New World Library. www.NewWorldLibrary.com. 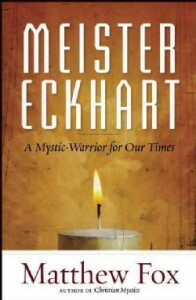 Meister Eckhart was a late-thirteenth- and early-fourteenth-century preacher and mystic, yet like Rumi and Hafiz, he remains relevant today. He speaks to so many and touches people’s hearts. In this short excerpt from his new book “Meister Eckhart: A Mystic Warrior for Our Times”, bestselling author Matthew Fox shares his insights on letting go. 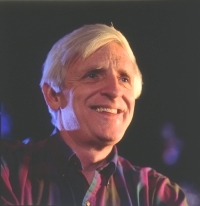 Matthew Fox is the author of over 30 books including “The Hidden Spirituality of Men”, “Christian Mystics”, and most recently “Meister Eckhart”. A preeminent scholar and popularizer of Western mysticism, he became an Episcopal priest after being expelled from the Catholic Church by Cardinal Ratzinger, who later became Pope Benedict XVI. You can visit him at http://www.matthewfox.org.